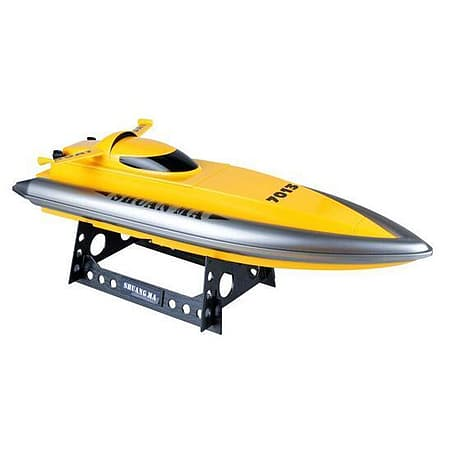 The model is made of high quality materials and metal transmission components . 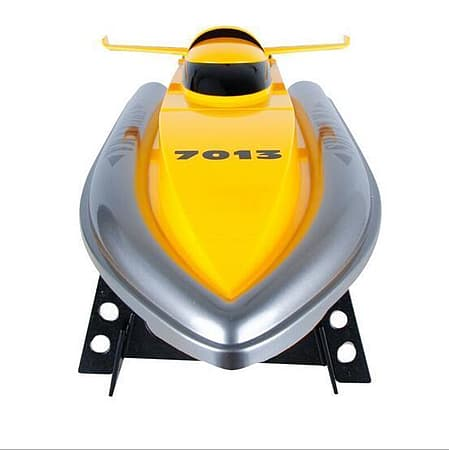 Particularly noteworthy is highly accurate and aesthetic performance of the hull. 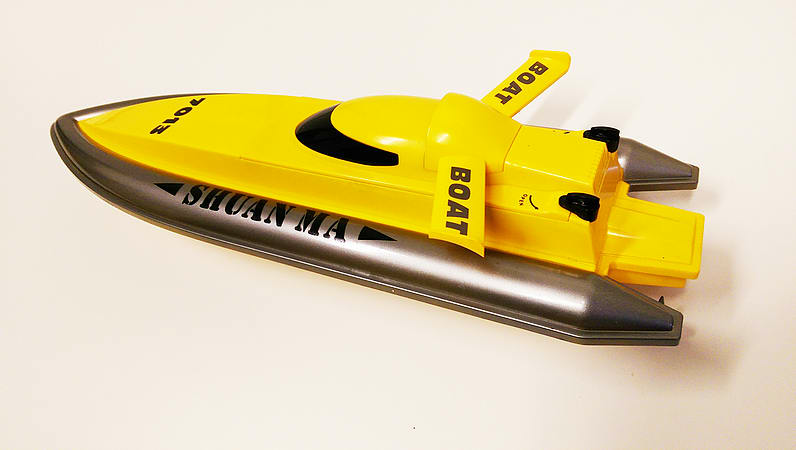 Its unique design gives the model a realistic look. 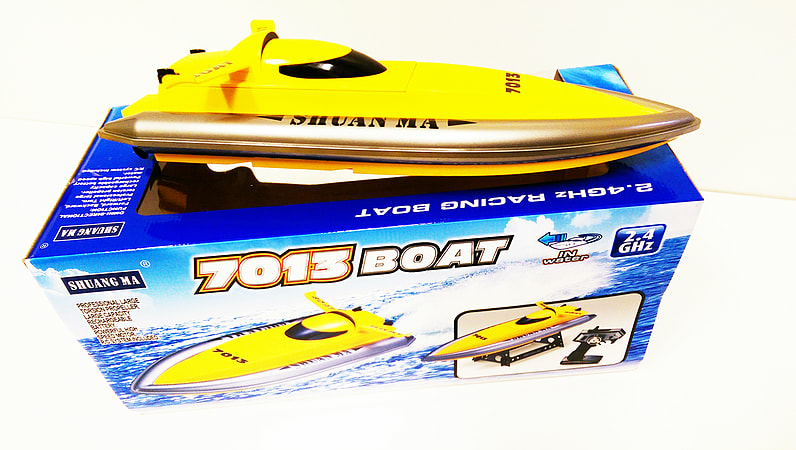 Powerboat is responsive and fast thanks to the powerful motor which allows it to accelerate up to 30km/h! Manoeuvrability and speed in full will use a large open space of water . Double Horse 7013 very easy to drive and looks great. Length 43cm. Double Horse has a system of protection against firing on the dry. If the boat is not in the water, the engines will not start. 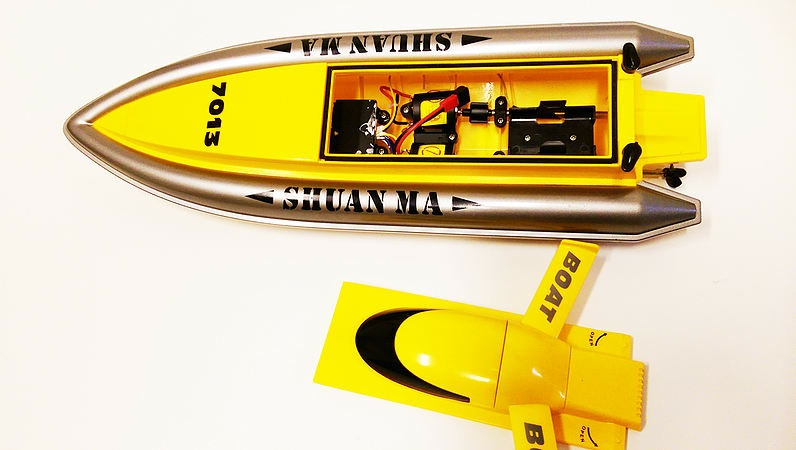 Powerboat is controlled by a professional , two-channel (gas and twist) and fully proportional radio operating at 2.4GHz frequency. The range can go up to 100m!